For his spring/summer 2019 wedding dresses, Georges Hobeika highlights the supreme symbol of love... the rose! Lebanese and international fashion designer Georges Hobeika brings brides his deep passion for nature. He says about the rose: "Inspirer of charity balls and bucolic poetry and celebrated since antiquity by great painters and mythical writers, the ‘Queen of Flowers’ develops the ever-changing enigmas of her germination on precious fabrics, with a lightness and grace as delicate as her petals." - Georges Hobeika. The Georges Hobeika wedding dresses for brides of spring and summer of 2019 are the ultimate feminine dream. 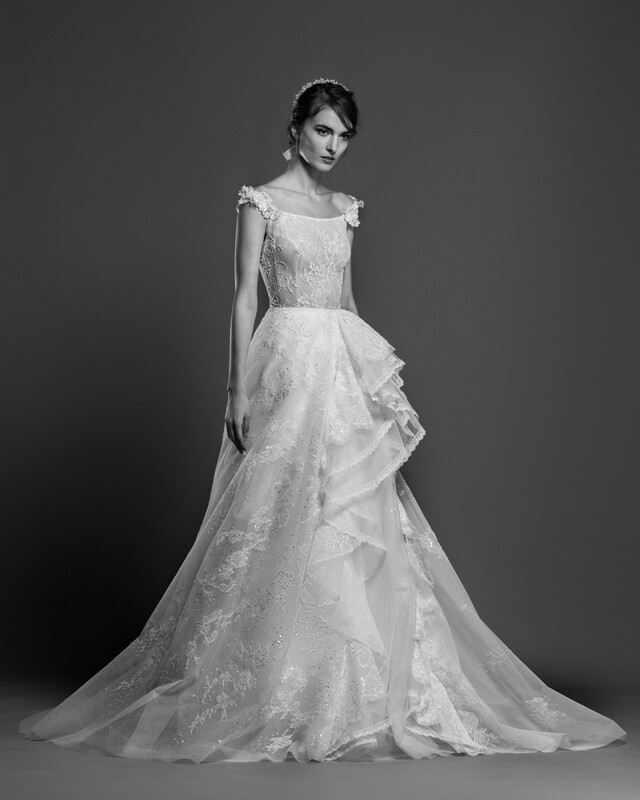 Take a look at the romantic, feminine, and elegant Georges Hobaika bridal collection for spring/summer 2019.